Bubbles is a very versatile little fish. 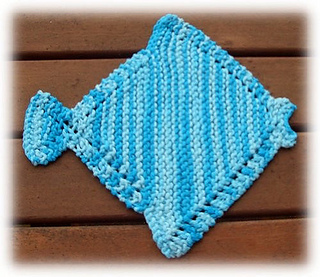 He can be a Baby Wash Cloth, a Scrubbie, a Dishcloth, a washcloth, a cat toy and more. 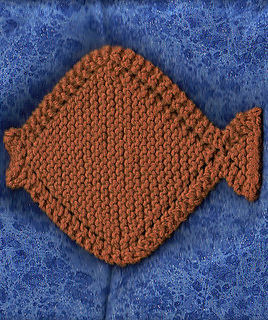 Bubbles may be made using any yarn that suits your intended purpose. 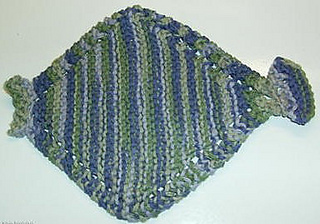 Solids and varigated yarns both work well. 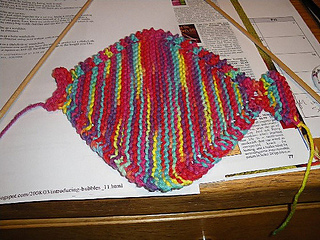 Use scraps and make an exotic tropical fish. 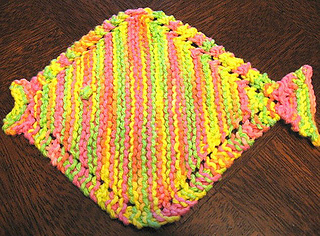 Use cotton for dish and wash cloths and acrylic or cotton for scrubbies. Bubbles is easily adapted to many sizes by working more or fewer body rows. The mouth and tail are the same in all sizes.